Feeding Unruly Boys to the Bears: The Bible’s sick sense of humor. Elisha went up from there to Bethel; and while he was going up on the way, some small boys came out of the city and jeered at him, saying, “Go away, baldhead! Go away, baldhead!” 24 When he turned around and saw them, he cursed them in the name of the Lord. 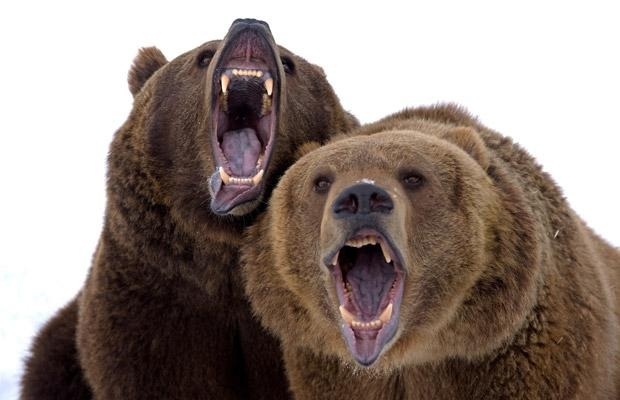 Then two she-bears came out of the woods and mauled forty-two of the boys. The clear meaning of the text is that we have been too easy on our children. If we want to be biblically faithful parents, we need to train some she-bears to come when we call them and apply the discipline needed: mauling, or as another translation says, tearing the forty-two boys to bits. Another thing we need to work on, if we would practice biblically faithful parenting, is to encourage our children to stand around and wait for the punishment they have coming instead of running away. Obviously, if two bears are going to maul forty-two boys, the boys did not run away when the bears went after the first two; they waited their turn. It’s time we raise our boys to suppress their survival instincts and take their punishment like men. Or, maybe we could consider that the Bible contains many different genres of stories, including gallows-humor folk tales. Perhaps our contemporary culture’s assumption of historical accuracy in the Bible would make no sense at all to the original readers of this story. We could even read the story in its context and discern a very playful editor and writers behind this important narrative about the succession of Elijah by Elisha. They dare to be playful about a deeply important question: When times are hard, does that mean that God has abandoned us? Or, to put it in the specific context of the exile, the time at which most of the Old Testament was compiled, edited, transformed from oral tradition to written word, and shaped into a theological document: When the people of God feel lost, alone, displaced, and caught in the drama of political instability, is there still a prophet in Israel? Here’s a radical thought: it appears that some biblical writers had a sick sense of humor.